Pulling the perfect shot of espresso barista-style takes skill, patience and practice with a professional-quality espresso machine, like the Capresso EC PRO. A perfect shot looks like a “mouse tail” coming out of the bottomless filter. he way the coffee flows out of the portafilter can help you identify the problem areas with your coffee shot and help you brew the perfect espresso. 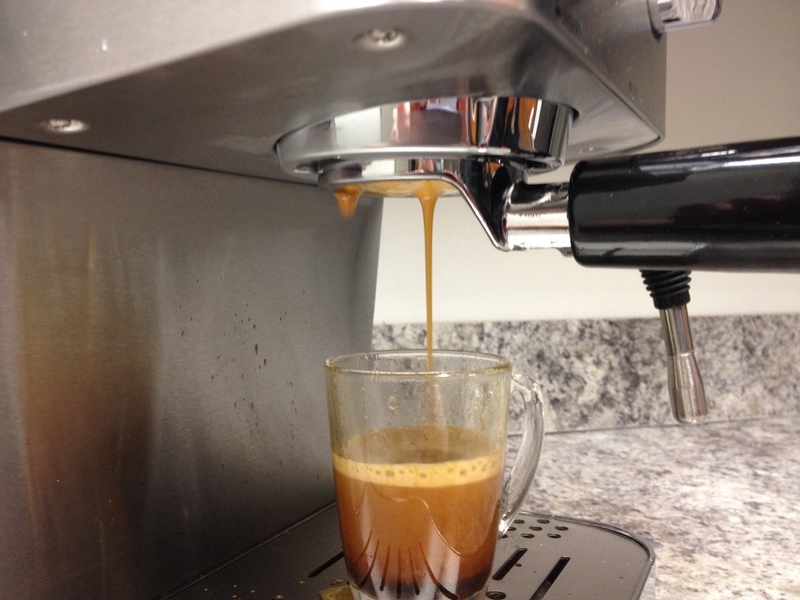 (Drips) When “mouse tail” is off to one side or dripping around the edge, the ground coffee is not evenly tamped. 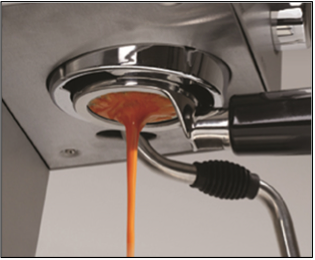 Hold portafilter flat when tamping and apply even, flat pressure. (Geysers) Channeling can be identified by sputters and geysers. This is caused by uneven tamping or uneven grind size. Ensure even pressure is applied when tamping the ground coffee. Adjust the grind size slightly using a conical burr grinder. (Blonding) Blonding occurs when the shot is under extracted and is too light in color. More coffee grounds should be added to the sieve. You can also adjust the grind size a little finer to correct a light colored shot. (Too Dark) An overly dark shot indicates too much coffee was added to the sieve or grind is too fine. 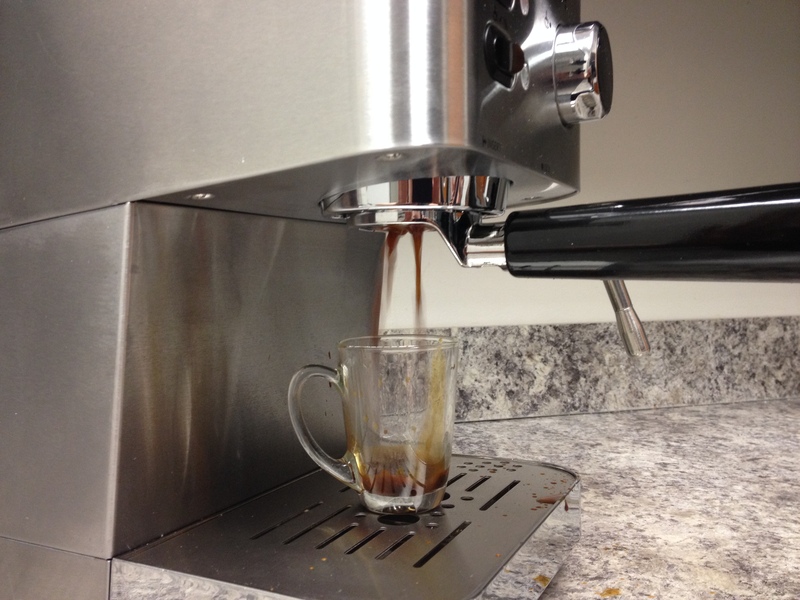 Add less coffee and adjust the grind size slightly coarser. 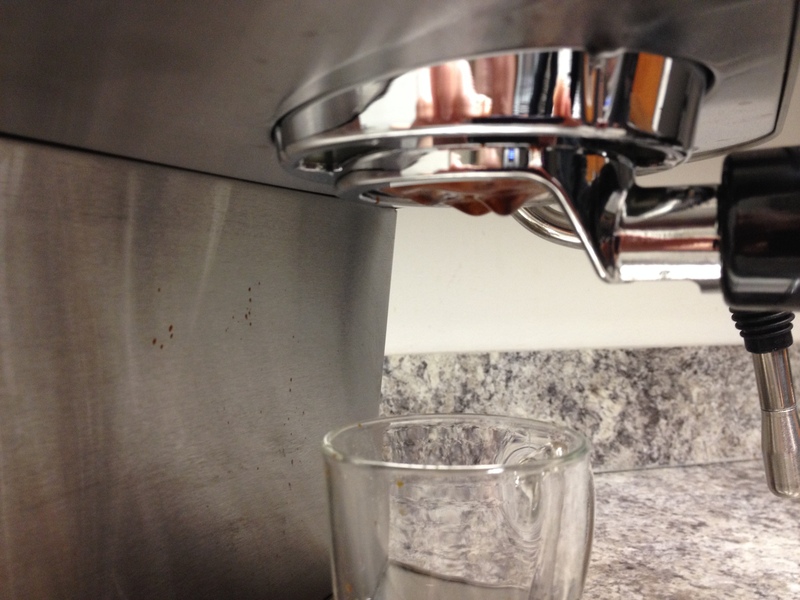 (Multiple Streams) Overdosing of espresso in portafilter can cause multiple streams. Add less ground coffee to the filter. Adjust the grind size slightly and only one setting at a time. (Too Slow) Flowing too slow can be an indication that the ground coffee was tamped too hard or ground coffee is too fine. Apply approximately 30 lbs of pressure (the same amount of pressure you would use when casually leaning on a table for support) when tamping the espresso into the sieve. Adjust grind size slightly coarser. 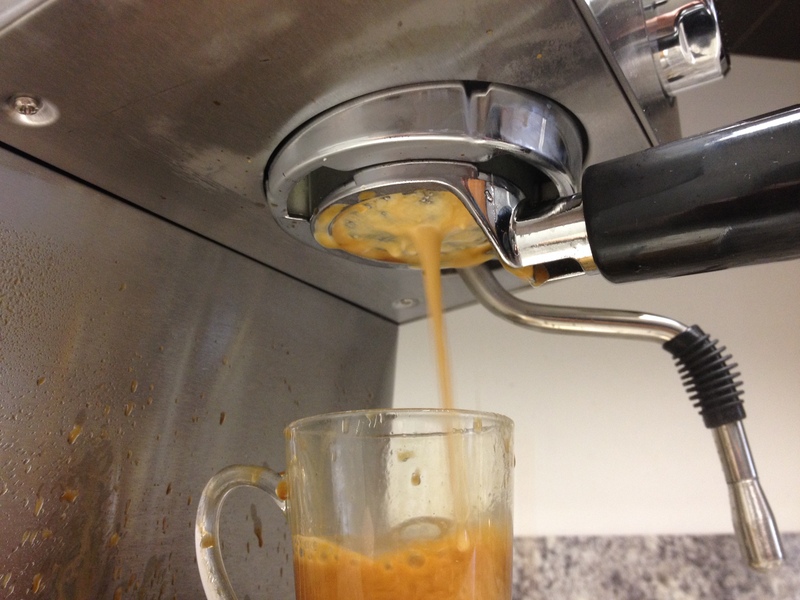 Other tips: We recommend using a conical burr grinder for precise adjustment of the grind size. Consistency of grind size is the most critical element in brewing with a bottomless filter. 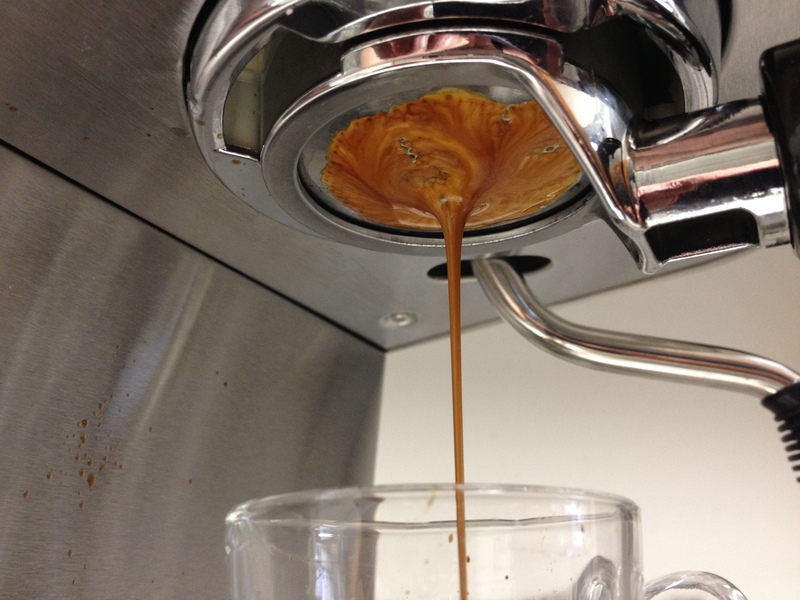 Adjust the grind size one step at a time to experiment to improve results. Even when you find the right grind size, you may still need to adjust from one day to another as the beans can be altered by moisture in the air.